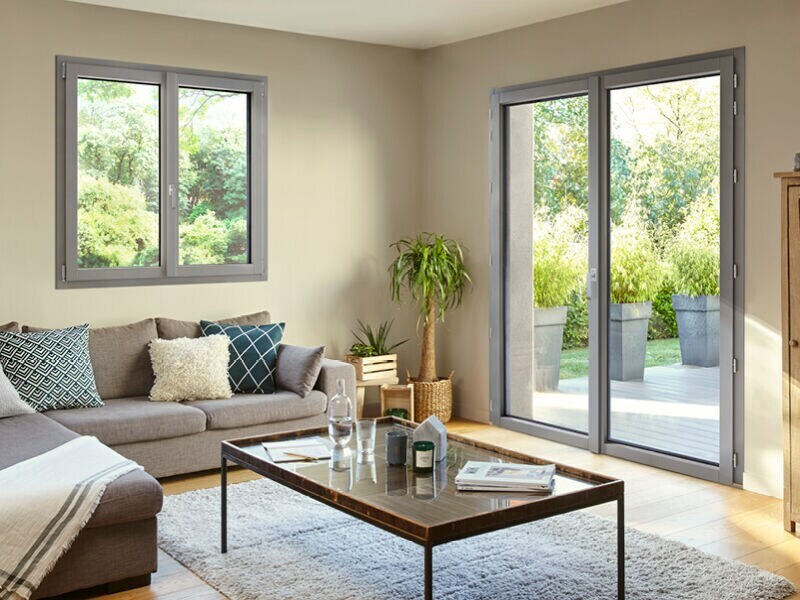 After 16 months of work and more than 28 million euro in investments the new plant of the specialist and market leader in wood-aluminium doors and windows is now operational. Inaugurated in 2014 it includes a 25,000 sqm plant for the production of front doors, sliding doors and windows, windows, shaped doors and windows, glass doors and continuous facades. 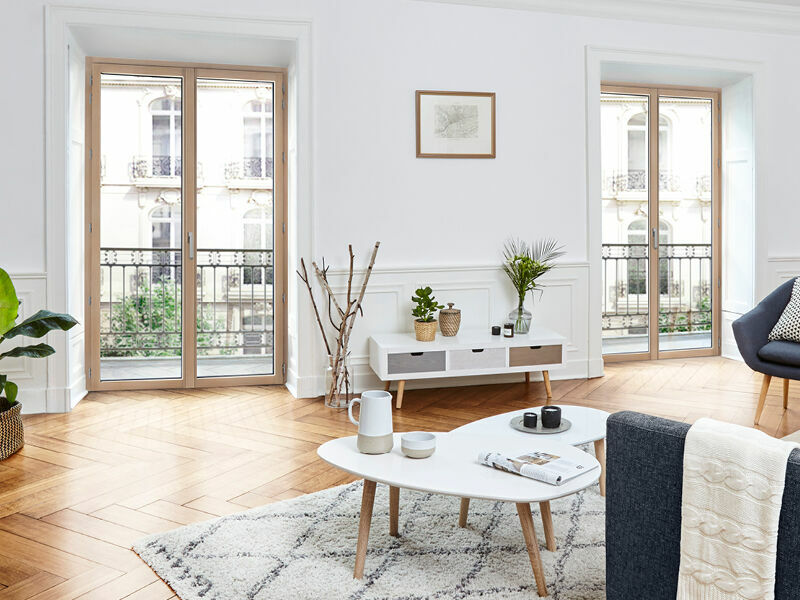 High level technological solutions have been installed, such as the SCM door and window frame line, that fully replaces the previous industrial setup. “The new production site has been fitted only with new machines, a new production process and a new computer system developed in-house by MC France, inspired from the knowhow of the parent Liébot group”, explains Antoine Soulard, MC France’s industrial manager. The beating heart of the factory is the SCM production line, which has been fully custom designed. “After a series of tests carried out in Italy, and the shipment to the MC Frances site, the line began producing in September 2013, with an installation period of 3 months”, explains Claudio Cristalli, SCM product manager in France. 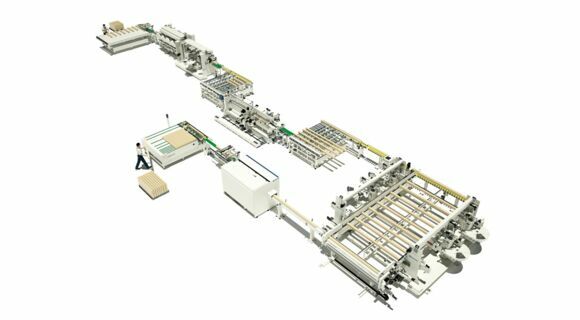 Today all the PEFC certified French pine and oak doors and windows are produced on this automated line that measures more than 60 metres. “Only two operators and one supervisor are involved on this line”, continues Antoine Soulard. “A visual check is performed before the sections enter the line, in order to reject any wood with possible defects”. Subsequently the squares move towards a throughfeed moulder where the two sides and the upper part are machined. The second phase, tenoning, is performed by two machines: a squaring unit that machines the left side head of the pieces, which then move to a second squaring unit, that performs the same operation on the right side. This is followed by two work centres for drilling and routing, used to assemble the hardware, and then the profiling. In this case too, two machines profile the right and left side. The last operation performed by the line is the laser marking of a code used to identify every machined piece after the painting phase. At the line outfeed the second operator performs a quality control on the machined elements, checking their length and rejecting any with defects. The elements that pass the quality check are treated with IFH primer (only the pine) before reaching the finishing line. This is followed by the assembly, the glass is glued and the aluminium coating is positioned. All the machined elements are placed on a pallet and stored in a closed storehouse heated with wooden shavings from the machining operations. The boiler is used for the heating system and for the drying and finishing system. An ecological solution to optimise the raw material: wood!